India’s decision to abstain in a U.N. vote over Libya this time last year has hurt the country’s moral standing. Why vote against democracy? Last March, India abstained in a vote over enforcing a no-fly zone in Libya, a move that ultimately signaled the beginning of the end for Muammar Gaddafi’s regime. A year later, though, and it’s clear that India gained little from the move – and may actually have done itself some considerable diplomatic harm in the process. Of course, India has since (reluctantly) voted for a U.N. Security Council resolution condemning Syria, and it’s abstention (along with China) ended up meaning little in the grand scheme of intervention in Libya – European assistance to Libyan rebels still changed the balance of power in the conflict, and paved the way for the Libyan rebels to overthrow the Gaddafi regime. And, although Libya is far from stable, the rebels’ eventual victory to a certain extent negated any immediate harm that might have come from India’s reticence. And yet it’s clear that India’s vote will have long-term consequences for the country’s strategic standing. As the world’s largest democracy, India should have key advantages in dealing with the turmoil resulting from the Arab Spring. India’s status as a large yet stable developing country without some of the baggage of Western countries should have left it well-placed to offer guidance and exercise some “soft power” in these tumultuous times. Yet India clearly missed the boat. Indeed, far from being a role model, India decided to side with authoritarian states such as China and Russia, in seeming opposition to the democratic revolutions reflecting values that India claims to uphold. Second, though not all of these democratic movements have succeeded, the spread of democracy in the Middle East is clearly something that will boost the prospects for stability in the medium and long term. India might be uncomfortable with the idea of “democracy promotion,” something that’s easy to understand. But India’s actions surrounding the Arab Spring have made India look as if it is standing against the spread of democracy itself. India’s abstention over Libya might not have impeded progress in the end, but it did nothing at all to help, and left it complicit in efforts to crack down. Third, India’s abstention and its only reluctant support in the Syrian case have won it no friends in the capitals of the world’s democracies. Even if India’s reluctance to assist in the spread of an ideology is well-known, Western capitals were surprised by a vote that actually impeded its spread. Ironically, India’s “moral” position ended up hurting India’s own moral standing in the international community. 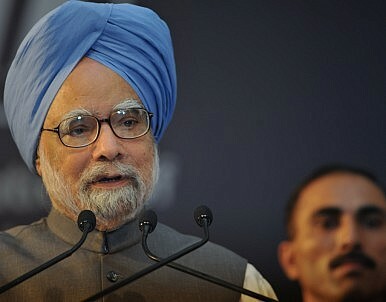 The Libyan vote was a particular disappointment to India’s friends in the United States. The U.S. remains an important strategic partner for India, but the decision over Libya was embarrassing to those in Washington who have championed closer ties. All this has only been compounded by India’s softly-softly approach to Iran. As a result, there are increasing doubts in Washington about the value of the partnership with New Delhi. What is particularly problematic about the Libya decision is that India failed to support action that was backed by the Arab League and the Organization of Islamic Conference (OIC). It was also action that would have come under the U.N. umbrella, sending a signal to other countries, including in India’s own troubled neighborhood, that India expects other nations to adhere to certain universal principles. This might have prevented India having to vote against Sri Lanka at the United Nations recently – had it seen its giant neighbor backing U.N. action in Libya, Colombo might have thought twice about its resistance to addressing its treatment of its Tamil minority in the closing days of its civil war. And Delhi would also have looked more consistent, appearing to use a similar yardstick when measuring the severity of human rights violations. Instead, the United Progressive Alliance government ended up looking like it was playing domestic politics and buckling under pressure from Tamil political parties at home. A year on, and it’s clear that India’s decision to step aside over Libya gained it little, and may have done significant damage to its international standing. If Delhi is to meet its aspirations of becoming a significant regional, let alone global, player then it needs to think more carefully about the message its positions send. India might not want to promote democracy. But at the very least, it shouldn’t stand in its way. The election of Trump may herald the end of the postwar order.